The Château de Chavaniac is a fortified manor house flanked by two towers of black stone. It was built in the 14th century and was partially destroyed by a fire in 1701. The Château de Chavaniac was the birthplace of General Lafayette in 1757. The Château de Chavaniac of eighteen rooms furnished in the Louis XIII style is now a museum open to the public. 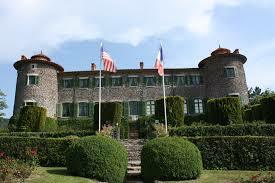 The French and American flags fly permanently over the château in honor of the key role Lafayette played in the French and American revolutions. It is located in Chavaniac-Lafayette, Haute-Loire, in Auvergne, France. In December 1916, a group of wealthy philanthropists led by Scottish-born American industrialist John C. Moffat purchased the castle for the French Heroes Lafayette Memorial Fund to serve as a center of philanthropy for people affected by World War I. Parts of the château were used as a school, an orphanage and a hospital (known as the Lafayette Preventorium) until 1920. During the post-war period, the château was extensively renovated (The roof was redone, foundations were stabilized, a tower was rebuilt and the south wing was built in the rear with a square tower) and furnished with memorabilia from Lafayette and other period pieces. During World War II the château was used as a secret hiding place for Jewish children. In 1966 John Moffat died and was buried with his wife on the grounds of château. 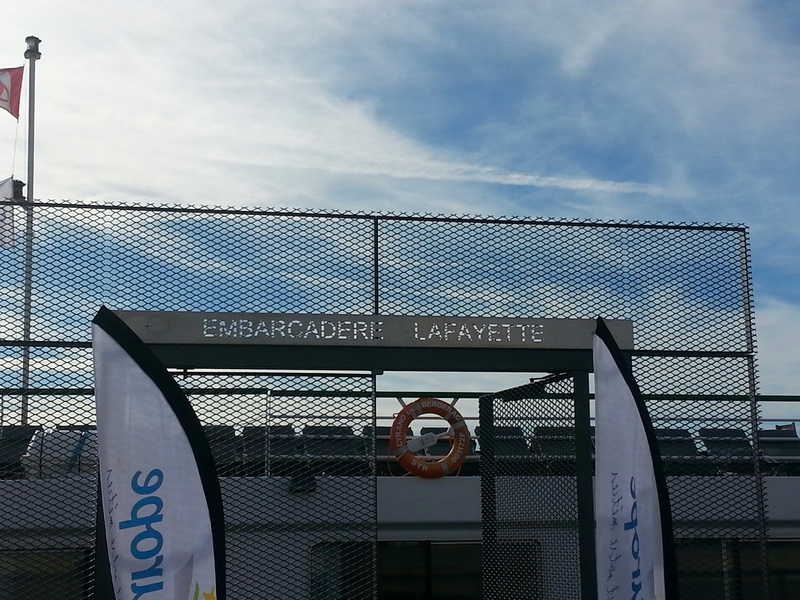 The Lafayette Memorial Association Inc. took over management of the château. The museum was renovated in the 1990s. In 2007 the Lafayette Preventorium became a separate institute (Institut thérapeutique, éducatif et pédagogique). But the party of officers reached Bordeaux ahead of the king’s orders and Lafayette boarded La Victoire under an assumed name…He sent a note to Paris to gauge his wife’s feelings…the response he received a week later was not favorable. But Lafayette was following a dream… and he ordered the ship to sea. 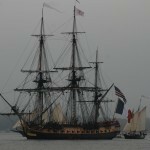 La Victoire stopped at the small Spanish port of Los Passajes (or Pasaia today) and Kalb convinced Lafayette to repair relations with his family before their final departure from Europe…. 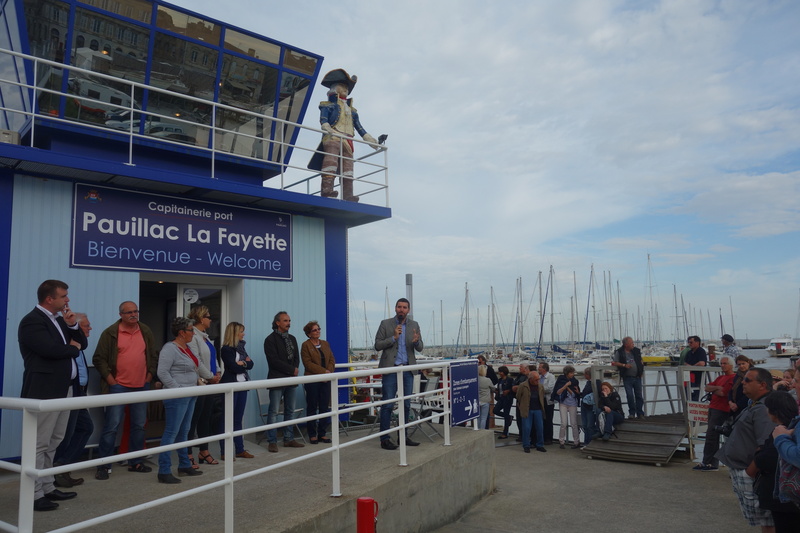 Lafayette is 25 years old and promoted to the grade of « Maréchal de Camp » (General). 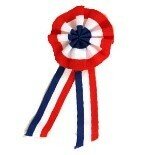 Crowned with his glory he embarks on business and French politics. 1788-99: Incorporation and promotion of the « Société des amis des noirs » (Society of Black Friends). Lafayette is a notorious abolitionist. Lafayette declared « traitre à la nation » by the Jacobins, is threatened with arrest and guillotine. He fled with part of his army staff. He was arrested by the Austrians and incarcerated in Prussia (August 1792- September 1797). During the French revolution the Marquis de Lafayette, was rejected by the revolutionaries when he voted against the death of King Louis XVI. With the fall of the monarchy on August 10, 1792, and when the minister of justice, Danton, put out a warrant for Lafayette’s arrest on August 14, Lafayette decided to flee to the United States through the Dutch Republic. He entered the Austrian Netherlands, the area of present Belgium and was taken prisoner by the Austrians near Rochefort. -Lafayette was held at Nivelles, then transferred to Luxembourg where a coalition military tribunal declared him, de Pusy, and two others to be prisoners of state for their roles in the Revolution. The tribunal ordered them held until a restored French king could render final judgment on them. -On September 12, 1792, the prisoners were transferred to the custody of the Prussian fortress of Wesel, where the Frenchmen remained from September 19 to 22 December22, 1792. -When victorious French revolutionary troops began to threaten the Rhineland, King Frederick William II transferred the prisoners east to the citadel at Magdeburg, where they remained from January 4, 1793 to January 4, 1794. – Then Frederick William decided to stop armed hostilities with the French Republic and turned the state prisoners back over to the Habsburg Austrian monarch Francis II, Holy Roman Emperor. Lafayette and his companions were initially sent to Neisse (today Nysa, Poland) in Silesia. On 17 May 1794, they were taken across the Austrian border, where a military unit was waiting to receive them. The next day, the Austrians delivered their captives to a barracks-prison, in the fortress-city of Olmütz, Moravia (today Olomouc in the Czech Republic) untill 1797. Lafayette rallied the Bourbon, but during the first 3years of the Restoration he did not get involved. November 1818 he is elected deputy of Sarthe, but will not be reelected in 1824. Invited by the US Congress, Lafayette visited more than 60 towns in the different 24 states: Alabama, Connecticut, Delaware, Georgia, Illinois, Indiana, Kentucky, Louisiana, Maine (ex-Massachusetts / North part), Maryland, Massachusetts, Mississippi, Missouri, New Hampshire, New Jersey, New York, North Carolina, Ohio, Pennsylvania, Rhode Island, South Carolina, Tennessee, Vermont, Virginia. Plus Washington D.C. In appreciation for his service and support, during the American Revolutionary War, Marquis de La Fayette were given a Land Grant (23,000 Acres) in Tallahassee Florida and the sum of $200,000. The Revolution of the « Trois Glorieuses » or Revolution of July hunt Charles X of power. On July 31, 1830 Lafayette welcomed at the « Hôtel de ville » of Paris the Duke Louis-Philippe d’Orléans, a liberal noble attached to the Revolution. Lafayette at nearly 73 years is for the second time commander of the National Guard… for five months! The Château de la Grange-Bléneau is located in the commune of Courpalay in the Seine-et-Marne France. In 1827, the Marquis de Lafayette, who had a seat in the Chamber of Deputies and was therefore in need of housing in Paris for the duration of sessions. He rented the apartment on 6 rue d’Anjou (now 8 rue d’Anjou in the 8th arrondissement of Paris), on the first floor in the left wing of the courtyard. While in Paris, which was the case in winter and during the sessions of chamber Lafayette received every Tuesday. Lafayette spoke publicly for the last time in the Chamber of Deputies on January 3, 1834. He died in this apartment on May 20, 1834 at 4:30 am at the age of 76. He was buried next to his wife at the Picpus Cemetery under soil from Bunker Hill, MA which his son Georges Washington sprinkled upon him. King Louis-Philippe ordered a military funeral in order to keep the public from attending. In conclusion, Lafayette can be defined both as an aristocrat of liberal orientation, a general officer, a French and international politician. In the United States, President Jackson ordered that Lafayette receive the same memorial honors that had been bestowed on Washington’s death in December 1799. Both Houses of Congress were draped in black bunting for thirty days, and members wore mourning badges. Congress urged Americans to follow similar mourning practices. Later in 1834, former president John Quincy Adams gave a eulogy of Lafayette that lasted three hours, calling him « high on the list of the pure and disinterested benefactors of mankind ». NOTA : A replica was placed at Metz in 1919-20- In 1899 the American born sculptor from Connecticut, Paul Wayland Bartlett, who had moved to Paris with his father at the age of nine and ended up studying sculpture under Emmanuel Fremiet, was chosen to produce the bronze equestrian statue of Lafayette. 1st statue : In August 1920, the replica of the statue in Paris by the sculptor Bartlett, was inaugurated in the Square Boufflers of Metz, at the very place where Lafayette stood in 1775, at the Governor’s Palace. It was destroyed by the Nazis in the Second World War. -During the World War II occupation, the Nazis removed it from its pedestal and placed it on a truck for transport to be melted down for armaments. A few nights before the Germans were to remove it, six partisans slipped into the area to save the statue. They were foiled in their mission because the German truck failed to start. The next night, 60 partisans returned to hand carry the statue five miles, and buried it in a barn where it remained for the duration of the war. After the war, the statue was returned to its original place of honor. -This statues of Lafayette was rededicated in February 2001 in LaGrange, Georgia. 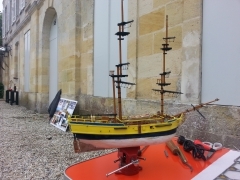 It is an exact replica of the one located in Le Puy, France. It was erected in 1976 as part of the U.S. Bicentennial observation. Fayetteville N.C. is home to Fort Bragg, one of the largest U.S. Army posts in the world. Saint-Avold is home to the largest American World War II cemetery in Europe. and Europe (town, city, village …) may refer for General Gilbert du Motier, marquis de La Fayette.